Zhu Qizhan lived and worked in Shanghai and is one of the major artists of the twentieth century. 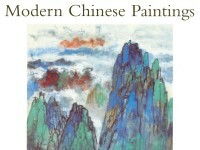 He studied in Japan and from his twenties until his fifties painted in oils as well as the Chinese medium. The simplicity and colour of this landscape are typical of the distinctive style he developed. Zhu Qizhan was born in Taicang, Jiangsu province, and taught himself how to paint at the age of eight by copying traditional works. He later studied oil painting in Japan, and went on to paint in both oils and the Chinese medium. 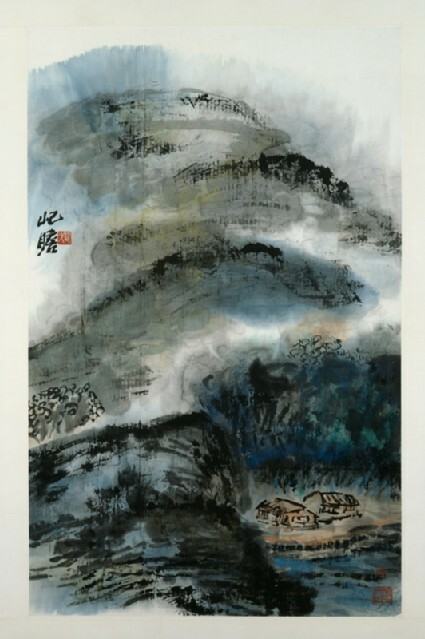 This landscape is typical of Zhu’s style, with simple but smooth brushwork and distinctive colours that seemingly evoke his ideals of independence, force, and succinctness.